Delivered before the Baptist General Convention of Texas, at Belton, October 7, 1892, and reproduced here by the courtesy of the American Baptist Publication Society. This sermon is from a collection of sermons on Jesus the Christ compiled by J. W. Crowder, edited by J. B. Cranfill, published in 1937 by Baird-Ward Press, Nashville, TN. Text: I magnify mine office (Romans 11:13). But while this is the primary meaning of the text, in its connections it embodies a great principle of wider application. It is this great principle which burns in my heart and which I feel impelled to discuss before this Convention. The fairness and safety of this wider application may be gathered from the first Scripture read–Ephesians 4:11-16–in which it is alleged that God gave apostles, pastors, teachers, and evangelists for the same glorious purpose. Therefore, if the office of one is to be magnified, so the office of the others to the same end. Hence the theme: The office of a minister must be magnified–glorified always, everywhere, and by all incumbents. First impress on your minds the fact that the work of the ministry is official. It is an office in the true and common acceptation of that term. Let us define: Webster’s International Dictionary says: “Office–a special duty, trust, charge or position, conferred by authority for a public purpose; a position of trust or authority; as an executive or judicial office; a municipal office. A charge or trust of sacred nature, conferred by God Himself; as, the office of a priest under the old dispensation, and that of the apostles in the new,” quoting our text as an example. Mark the essential elements of an office. The duty, trust or charge is special. It is conferred by authority. It is for a public purpose. In the case of a religious office, the trust is sacred and God himself confers it. While in civil affairs it is the duty of every citizen to do all in his power toward the enforcement of law and the preservation of order, certain functions devolve exclusively on officers appointed for the purpose. A private citizen cannot perform the official duties of the sheriff, judge, governor or president. So in the church and kingdom of Christ. While it is the privilege of every Christian to tell the story of the cross and to otherwise aid in the dissemination of the gospel, yet in magnifying individual duties and privileges let it never be forgotten that God has called out a special class of men and set them apart officially and committed to them certain official duties. “This is a true saying, if a man desire the office of a bishop, he desireth a good work.” The truth of the proposition just set forth is more recognized than realized. Let us impress ourselves with it by carefully reconsidering some things well known to all of us. 1. The terms by which God designates His ministers not only indicate office but suggest the nature of the office and its duties. In many places the minister is called a shepherd. A shepherd performs special duties committed to him alone. He must watch over the flock, feed them when hungry, heal them when sick, guard them in peril, keep them from worries and alarms, and shelter them in the fold. He is called a bishop, which means an overseer. The overseer has special duty and authority. He directs the labor of those he oversees. He is called a steward, one who holds in trust the goods or business of another and who acts for his principal, as an agent in the matter committed to him. He is called an ambassador, a term which implies official functions. The ambassador acts by special appointment, under definite instructions, and carries credentials authenticating his mission. There are other terms of similar purport. 2. The form or ceremony by which the minister is set apart to his work indicates an office. He is separated to this work by prayer and laying on of the hands of the presbytery (Acts 13:2,3; 1 Timothy 4:14). 3. The special provision made for this support indicates an office (1 Corinthians 9:1-14). As there is a salary for the governor of a state, or the sheriff of a county, or a soldier in the army, so the Lord hath ordained that they who preach the gospel should live of the gospel. Now it is evident that all Christians cannot live of the gospel–cannot be put on a salary out of the common fund. The fact, therefore, that special provision is made for the financial and material support of a certain class who devote their time and labor to a solemn trust for the public benefit is a demonstration that such class are in office. There is no escape from this alternative: Either the preacher is an object of charity in receiving pecuniary aid from his congregation, or he receives it in compensation for official duties. 4. Ministerial responsibility is proof of office. I mean to say that there is a responsibility laid on every preacher that does not rest on any private member of the church, and that in the great day of account he must answer to God for the manner in which he has discharged his official duties. Now, by these four facts–the terms employed to designate his work, the form by which he is set apart to that work, the provision made for his support while engaged in it, and his responsibility for its performance, it is demonstrable that the fills an office in the ordinary sense of the word and the duties of such office are in contradistinction to the duties of private members of the church. These private members are not called shepherds, bishops, ambassadors, nor even stewards, in the sense that he is a steward. They are not ordained. They rely upon their secular business for a support. They have not his responsibility. 1. Because of Him who appoints. The dignity of every office is measured largely by the dignity of the appointing power. The servant is not above his master. When one holds an official position under the commission of a king, that royal signature ennobles every official action performed under its authority and confers on it the royal sanction, however paltry it may seem in itself. But what earthly potentate can be compared in majesty with the King of kings and Lord of lords, who as the eternal God, Himself specially calls every man, appoints every man, and sends forth under His supreme authority every man who lawfully enters the ministry? How does such a commission, handed down from the Supreme Court of Heaven, infinitely transcend in majesty and dignity any commission issued by any lower court, so finite in time and power! The divine Lord of the harvest sends forth His laborers into the harvest. He separates them from the masses of Christian people. He kindles on the altar of their hearts an unquenchable desire to preach His gospel. He counts it as rendered to Himself the treatment they receive. An audience given to them is given to Him. Their message scorned is His message scorned. Therefore, every minister should magnify his office. “I send thee to open their eyes, to turn them from darkness to light, and from the power of Satan unto God, that they may receive forgiveness of sins, and inheritance among them that are sanctified by faith that is in me” (Acts 26:17,18). What privation of the lost is here disclosed! What subjection! What guilt! What bankruptcy! What homelessness! They are blind. Night overshadows them. Satan has bound them hand and foot. His cloven foot presses their quivering hearts. They are without God and hope in the world. They are condemned and the sword of execution hangs over them suspended by one brittle thread. They are heirs to an inheritance of despair. Beautiful feet! Though bare, and bruised, and bleeding, and swollen, and dust-covered. Beautiful feet! When thy Saviour has girded Himself and washed them shall they evermore walk on a less holy mission? My brother in the ministry, is this trifling work?
. Feed my sheep” (John 21:15, 16). “And he gave some, apostles; pastors and teachers; for the perfecting of the saints, for the work of the ministry, for the edifying of the body of Christ: till we all come in the unity of the faith, and of the knowledge of the Son of God, unto a perfect man, unto the measure of the stature of the fullness of Christ: that we henceforth be no more children, tossed to and fro, and carried about with every wind of doctrine, by the sleight of men, and cunning craftiness, whereby they lie in wait to deceive; but speaking the truth in love, may grow up into him in all things, which is the head, even Christ: from whom the whole body fitly joined together and compacted by that which every joint supplieth, according to the effectual working in the measure of every part, maketh increase of the body unto the edifying of itself in love (Ephesians 4:11-16). Ministers of God, have you studied these Scriptures? Have you gauged these responsibilities? Have you measured these duties? My brethren, let our bare hearts be the targets of the fiery arrows of interrogation: Are any sheep of our flock hungry? Is any lamb astray? Are wolves howling around the fold committed to our care? Are any laborers idle under our oversight? Are the “babes in Christ” in our charge growing? Have you heard any of them crying for the “sincere milk of the word,” while you crammed them with solid food they were unable to digest? Are our people unified in the faith? Are any of the young converts tossed to and fro, and carried about with every wind of doctrine? Are they at the mercy of every theological tramp, who, for revenue, seeks to sidetrack them from their straight road of service? Are they a prey to religious cranks, who poison them with patent nostrums and quack medicines? Is the body over which you preside fitly joined together? Does every joint supply compactness? Does every part work effectually? Does the body increase? Is it edified? O watchman, have you blown the trumpet at the coming of the sword? My brethren in the ministry, was this Scripture written for our sakes: “Woe be to the shepherds of Israel that do feed themselves! should not the shepherds feed the flocks? Ye eat the fat, and ye clothe you with the wool, ye kill them that are fed: but ye feed not the flock. The diseased have ye not strengthened, neither have ye healed that which was sick, neither have ye bound up that which was broken, neither have ye brought again that which was driven away, neither have ye sought that which was lost; but with force and with cruelty have ye ruled them. And they were scattered, because there is no shepherd: and they became meat to all the beasts of the field, when they were scattered” ( Ezekiel 34:2-5). And under our mismanagement has it become necessary for God to “judge between cattle and cattle”? Have we allowed some of the flock to “eat up the good pasture and tread the residue under their feet–to drink the water and foul the residue with their feet”? Have we stood cowardly silent while some “have thrust with side and shoulder, and pushed all the diseased with their horns, till they are scattered abroad”? Oh, “when the Chief Shepherd shall appear, shall we receive a crown of glory that fadeth not away”? Brethren, I press this question: Are not reconciliation and edification work enough? And should we not magnify our office because of the work? 3. This office is to be magnified because of the extraordinary means appointed for the accomplishing of the work of reconciliation and edification. I waste no words on the Koran nor the Book of Mormon. I mention no vagaries of human speculation, nor hallucinations of earthy philosophy. I hold up no glow-worm light of science. I speak not of the Constitution of the United States nor of any statues evolved from it. But I do speak of the inspired Word of God as the instrument appointed for reconciliation and edification. When we consider this inspired volume as the means of glorifying his office placed in the preacher’s hands, we would not dare mention in comparison the office of the Supreme Court of the United States, which expounds only the principles of earthly jurisprudence. Let them quote Blackstone and Kent. Let them painfully and laboriously gather up the doubtful opinions of dead men–that is their business. But the man of God takes a Word inviolable and infallible–which has breathed on those who wrote it; this must he expound and illustrate. It is the Word which God at sundry times and in diverse manner, spake in time past unto the fathers by the prophets and in these last days by His Son. This Word is “quick and powerful, and sharper than any two-edged sword, piercing even to the dividing asunder of soul and spirit, and of the joints and marrow, and is a discerner of the thoughts and intents of the heart.” This “Word of the Lord endureth forever.” It is brighter and more potent than the light of all the heavenly bodies (Psalm 19). It is more credible than a visitor from the dead (Luke 16:28-31). It is surer than the evidences of the senses (2 Peter 1:13-19). Therefore, the preacher is “charged “; that is, put on his oath, “before God, and the Lord Jesus Christ, who shall judge the quick and the dead at his appearing and his kingdom, to preach the word” (2 Timothy 4:1). Such extraordinary and potential means would not have been provided for an office that men could refuse to magnify. 4. The office should be magnified because of Him who accompanies the official and gives efficacy to his words. I speak of the Holy Spirit, whose presence and power constitute the only guarantee of ministerial success. Paul may plant and Apollos water, but God alone gives the increase. To what earthly office, however great, are such presence and power attached? The minister is a “laborer together with God.” No reverent mind can think of this presence and power, and depreciate the office which they sanctify and energize. 5. The office is to be magnified on account of the extraordinary qualifications required of the officer–qualifications mental, moral and spiritual. I maintain that there is no other office among men that calls for the kind and degree of qualifications which God’s Word requires for the ministerial office. He must have gifts, graces, and character such as no human law requires for any earthly office. While the measure of his knowledge and scholarly education is not prescribed, he must be apt to teach. Without this aptness he never can be a preacher. He must wrap himself in a mantle of personal purity whiter than the ermine of a judge. The mantle no minister can smirch with impunity. He must be unspotted before the world and must preserve a good report of them that are without. He may as well resign when the world seriously questions his sincerity or his morals. In an age of mammon, while the world bows before its golden calf, he must not be covetous. “Not for filthy lucre” must he take charge of any flock. While other men hate and fight, he must be no “striker or brawler.” His spiritual qualifications are yet higher. He must be full of the Holy Spirit. He is the instrument of the Spirit. He must ever yield to the monition of the Spirit. III. How Shall The Office Be Magnified? Brethren,–I feel pressed in spirit tonight when I look out over this audience–among whom are so many ministers, so many older than myself, so many of longer service in the ministry. And I speak with great diffidence, but I do desire to express very earnestly and without the slightest reservation my own deep and abiding convictions concerning the truth of God as I understand it, in answering the question how all ministers may magnify their office. 1. By a profound realization of its importance. Pardon a personal reference, for men only theorize when they go beyond their personal experience. In delivering addresses on other subjects, I have been singularly free from embarrassment, but I never stand up to preach without trembling. It is not stagefright, for perhaps I esteem too slightly the judgment of men and women, whether expressed in praise or censure. But there is something about preaching which affects me even more than the approach of death. I never refuse to preach on any proper occasion when invited–I love to preach. I was not driven into the ministry. I never fled from God’s message, like Jonah. I never hide behind modest apologies, but I never in my life stood up to preach except once–which exception I profoundly regret–without first isolating myself from all human company, even the dearest, and prostrating myself in spirit before the dread and awful God, imploring Him, in deepest humility, to bless me that one time. Perhaps I am wrong. I would not judge harshly, but I cannot rid myself of the conviction that a man who can lightly, who can arrogantly, who can with seeming effrontery of manner, get up in the pulpit, get up unstaggered with the weight of responsibility resting on him, get up as an ambassador for God, as if God was his ambassador, is disqualified for the holy office. Just think of it seriously. Eternal interests hinge on every sermon. Every sentence may be freighted with eternal weal or woe. Every word may be the savor of life unto life or of death unto death. Would any one of deep moral sense deliver idly or lightly even a political oration if every word uttered might be a death sentence? What must be his moral character, what the turpitude of his nature, if he was more concerned to display his wit or logic or eloquence than to measure the effect of his speech on human suffering or joy! But can such trifling, however selfish, compare with his, who, standing up for God in matters which cost the life of Christ and engaged the attention of the three worlds–men, angels and devils–who stands up as Heaven’s agent to dispense terms of life and conditions of pardon, or to denounce eternal judgments, and there poses as a wit or attitudinizes as a rhetorician, or plays the actor, as if the whole service were a theatrical display and heaven and hell were but scenic paintings to accentuate his dramatic talent! Therefore, the impression never leaves me that no irreverent man should ever dare preach. I do not care how much he knows, nor how well he can declaim, nor how many his admirers. I shudder–cold chills of apprehension creep over me when I hear him. Is it the office of a mountebank? Is it the vocation of a circus clown? Is it the lifework of a privileged jester? Oh, the agony of Paul’s question: “Who is sufficient for these things?”! Oh, the richness of this experience: “I was with you in weakness, and in fear, and in much trembling. And my speech and my preaching was not with enticing words of man’s wisdom, but in demonstration of the Spirit and of power”! If one of you were commissioned to give directions of safety to a crowd of men, women and children standing on a quivering sandbank–encircled by an ever-rising flood, which moment by moment encroached on the narrow space where they stood, and your word meant life or death to every strong man, to every loving woman, to every clinging child, would you, could you–how could you, standing on a safe shore, speak those words in the carefully practiced declamation of a rhetorician? Did you ever in your life hear of a preacher noted for habitually reaching souls, for leading thousands to Christ, who stood before a mirror and studied the postures and gesticulations with which to ornament his sermons? I submit to you, if your own interest has not slackened, if your spiritual nature has not been shocked, every time you detected art in the preacher’s declamation? I would not depreciate proper culture of voice or manner, but I do believe that if you realize the importance of your work, and forget yourself in it–if the great deep of your own soul is moved upon by the Spirit of God–your manner and gesticulation will take care of themselves. 2. Profound and abiding gratitude to God for putting you in the ministry will help you to magnify your office. Your heart must gratefully appreciate that you, a worm as other men–that you, not on account of your own merit–you, from among thousands naturally as good–and perhaps better by grace–you were selected by the Divine Master for this distinguished honor; as much higher above the crowns of earth as the stars in heaven are above their reflection in a well. How can I ever forget the impression made on my heart, or get beyond its influences on my life, when I heard Doctor Broadus at Jefferson, Texas, in the Southern Baptist Convention, preach from the text: “I thank Christ Jesus, my Lord, for that he hath enabled me, putting me into the ministry”? Let thy call to preach unseal a ceaselessly flowing fountain of gratitude. Rejoice in the honor conferred on you. You who desire to magnify your office, let me pass the question around and press its point on every heart: Are you glad you are a preacher? Are you? Are you grateful? Do you thank Him? Do you appreciate it as a priceless treasure? Perhaps you are curious to know the result. Well, he did not appreciate my proffered counsel or help. He seemed to think that I was jealous of his power and wanted to handicap him. If he ever studied, I never heard of it. He did join the growlers. He never stays longer than two years with any church, because in that time he tells all he knows and some things he doesn’t know. The rose color and glamour of a new field of labor, where he can use the old material, entices him away. He criticizes the management of Boards and denominational enterprises, and talks much of “rings and bosses and favorites,” and complains that the old-fashioned gospel is superseded by new-fangled notions. My brother, if you would magnify your office, make the Word of God your life-study. Let down your buckets into the wells of salvation; lengthen your cords and let them down deep, and draw up the water fresh and sparkling every day. and give it out freely to your thirsty congregations. Burn all your written sermons that you carry around in your valise. Don’t you know that when you keep gnawing the same sermons they become like what a wolf leaves of a once juicy antelope–dry bones? An unchanged sermon never suits two congregations. Conditions vary. Be fresh. Be flexible. Learn proper adjustments. Study the needs of the people before you, and preach from a full heart that within that very hour has sought the Spirit’s guidance as to the theme and the Spirit’s power as to utterance. 4. You can magnify your office by giving yourself wholly to it. No man should give himself wholly to a work that is too scant in character and too small in volume to call out and employ all his reserve force, and to develop to their full capacity every faculty of his being. But in the ministry God has committed to a man an office as high as heaven, as deep as hell, as broad as space. There is a broad margin for all his powers. There is room enough for all possible development in all directions. Let me again refer to myself. When I was converted I was making two thousand five hundred dollars a year–more than I have ever received since. I was ambitious of distinction and promotion. I had luxurious tastes and wonderful appreciation of conveniences. Now, to abandon all this pride, ambition and prospect of luxury, to come down to a few hundreds a year, grudgingly given, was very grinding to my sensitiveness. But the crisis was one for solution. I determined never to be burdened with its solution but once. Without a dollar in my pocket or in sight; with a wife, baby and feather bed as the sum total of earthly possessions, I settled that question once and for all. Indeed, it might be the best for me to die. It might be the best that I should starve to death. I didn’t know. Who can tell? But I was certain that whether I starved or fattened it was my duty to preach the gospel. How is it you can undertake so many lifeworks? I call upon you to interpret this Scripture: “No man that warreth entangleth himself with the affairs of life.” Is it addressed to a preacher? You cannot deny it. 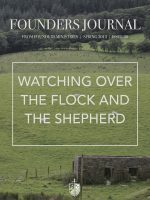 Is it not directly in connection with the charge to Timothy to “commit to faithful men, who shall be able to instruct others also” the things which he had heard and learned? You cannot deny it. Does it not fairly apply to preachers of today? You cannot deny it: Then will you answer candidly to your own heart and to God: Are you so entangled? Does the entanglement help you as a preacher? Are you content to remain so? Not long ago I said to a beautiful and brilliant wife that her husband had descended when he left the pulpit to be just a governor. Magnify this office above every other office. If it is an anti-climax to stoop from Mont Blanc to a molehill, how much more for a preacher to vacate an office higher than that of a field-marshal, president or king, to seek a subordinate position in politics or commerce. And how most shameful of all the weakness when he gets in front of the Cross and hides it from the people to show off himself! Some years ago I invited a minister to preach for me the following Sunday. He came with a valise full of written sermons on various sensational topics. He read over to me about a dozen of them–who can doubt my patience in view of it?–and asked me, the pastor of the flock, which one would make the most favorable impression for him on my congregation. I turned on him in scorn and said: “That matter is one of supreme indifference to my people. I wanted you to so preach from an humble, full and loving heart of our Divine Redeemer as to make a favorable impression for Him, but as no man can preach Jesus when self fills his vision, I withdraw my invitation for you to occupy my pulpit.” He did not preach for me then, nor has he since. And I am glad he is out of Texas and out of the Baptist denomination. At another time I heard one of our greatest Texas ministers preach a sermon of marked simplicity, of the sweetest humility, and of tremendous power. And as it was on a topic peculiarly suited to the needs of my own congregation, I urged him to come and preach it for us. We needed it just then. I knew it would do us good. Well, he came, but when he looked out over the upturned faces, when he saw among many prominent men a host of university students, he concluded that the sermon I asked him to preach was much too homely for the occasion, and without consulting me, delivered instead one of his early sophomore sermons. Oh, it was full of stardust and diamond-lustre and rhetorical sheen, excusable, perhaps, in an inexperienced boy, but simply ridiculous from him on that grand occasion. It was the most mortifying failure of his life. The people were sorely disgusted and disappointed. They insisted that I didn’t know who could preach, and suggested to me to leave such matters to the deacons. The hungry who came for bread had to content themselves with a bouquet of artificial flowers. The sad-hearted who came for consolation were treated to a display of literary fireworks, and the lost who were seeking a Saviour’s face found only a work-painter. But more than all others was he hurt by it. It seemed to crush him to the earth and grind him to powder. Being a good man, his penitence was swift and profound. He spent the afternoon in tears and prayer. At night he preached a sermon that it seemed would melt a stone, but alas! the audience of the morning was not there to hear him. Nor was he ever afterward able to get out much of a congregation in that place. The temptation sometimes comes in another form, wafted on the seductive breath of flattery. People “with itching ears,” who cannot endure sound doctrine and holy living, will come with honeyed words about his “broadness” and “liberality”. “He is no moss-back,” no “straight-jacket”. “He belongs to higher culture and criticism”. Ah, me! if the preacher drinks once of this intoxicating champagne, you may count the days till he hearts the gospel as a squirrel hearts an acorn, leaving only a shattered shell, without even a germ of life. It sometimes comes in the growls of his congregation. “He presses some things too much.” “He urges too many collections.” “He has too much zeal.” Woe to him and to his people if he heed the growling! It sometimes comes in the clamor for short, soothing and soporific sermons, about fifteen minutes long. Let me tell you of a case: In a city once, I went to hear a sermon. Preachers get hungry to hear others preach. I was oppressed in spirit and gravely solicitous about a great matter. I wanted my faith strengthened. Quietly taking my seat, I listened. The rendition of the music, confined exclusively to the choir, was very artistic, I suppose. I held myself in reserve for the sermon. That, I took it for granted, would have body to it. The preacher rose, at last, with his sermon in his hand. I looked at it. It was a neat essay, on note-paper, gilt-edged, and perfumed, I verily believe. I know it was tied with a delicately shaded ribbon, and he gracefully read the dainty document through in just fifteen minutes; and that seemed to me too much for it. My sensations were never paralleled except once when, on a moonlight night, I stepped confidently upon what I supposed was a plank, and found it a sluice of muddy water fully knee-deep. But usually the preacher fails most in loyalty to God’s interest, both local and general, when fears about the payment of his own salary, and cowardly deference to local pressure induce him to isolate his church from co-operation with sister churches in general denominational enterprises, when he shuts off from his people that information of general affairs and those appeals which are necessary to education and intelligent co-operation. The church thus isolated becomes narrow and selfish in policy and prosperity. God’s cause is one, whether in town or in country, at home or abroad. The city churches should never fail to be represented in the district Associations. They should bind the country churches to them with indissoluble bonds of fraternity and reciprocity. It is weakness to yield to the selfish cry: “Too many collections, too many agents.” It is easy to be silent when he should cry aloud and spare not. But his tower of strength is honeycombed in its foundation when he allows a perverted sensitiveness in the church or the world to put a padlock on his lips. Let me emphasize a sentence: In the general denominational enterprises, everything depends on the preachers. They are the bishops who direct and oversee the labors of the churches. If they are silent, the churches will be silent. If you ever make a canvass for a general denominational interest, as I have done, you will know that as is the preacher, so is the church. You will find, whether you canvass for home, foreign or Sunday school missions, or education or orphanage, that your greatest obstacle is preachers, and your greatest help preachers. 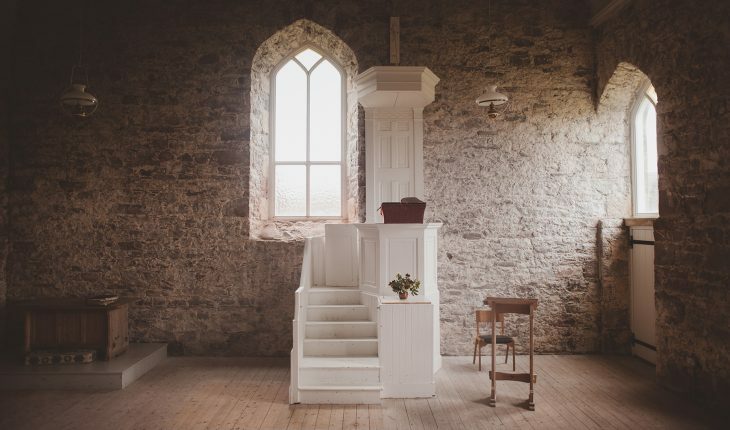 How can a stranger, who respects the sanctity of the pastoral office, do anything to advantage in a sovereign Baptist church if the pastor is even apathetic, much less adverse? I say now to you all, every one of you, charged with a general work by the State Convention, that where the local preacher loves your work and honors you in your devotion to it, where he prayerfully, lovingly, tenderly, and with all his might, supports you, there you will succeed. Not elsewhere to any great extent. If he leaves out the interest you represent, the church will let him leave it out. There is a spiritual sensitiveness that has keener and swifter perception than intuition, which informs every agent of a general work whether the preacher is for him or against him. I repeat, everything depends on the preachers, even quarrels and divisions. When was there ever a division of a church or Association or Convention, and a preacher not in it? Who knows of even one? Oh, if God’s interests be not esteemed by the preacher above his own selfishness or cowardice, above the flattery or growling of the church, above the praise or censure of the world, how can the man magnify his office? How vividly do I recall the crisis of my own pastoral life on this very point , when called to the responsible charge of Waco Church, twenty-two years ago! I greatly distrusted my fitness for the important position. I was young and inexperienced. The church had great and wise men in it. But fortunately I remembered that God was greater and wiser than all; that my responsibility to Him supreme. I made up my mind fully, once for all. I told the brethren that perhaps they had made a mistake. Time would show; that I had nothing to say about my own salary then or afterward. They must care for that. That my duty was to preach and teach the necessity of coming up to a high mark on every local and every denominational work. That I would do this at all hazards. That the cord which bound us as pastor and people should be a rope of sand when they wanted it broken, but a cable as long as they desired it to hold. That the hazard of loosing my pastorate should not be regarded as even fine dust in the balance. There is no other safe or righteous course for any pastor. To illustrate this consecration: At the examination of a candidate for ordination I once heard a deacon ask this question: “In going into this work, have you burned the bridges behind you or only taken up the planks with a view to re-laying them in case you should want to cross back to secular affairs?” I thought it a wonderfully pertinent question that went to the heart of the matter. It is better for the preacher never to even look backward toward the place where the bridge once stood. And never let him seek to please himself as to where he shall preach. Let the Lord of the harvest determine the where as well as the what and how. Turn not a longing eye to big churches and fat salaries. Let the Master say where, whether under burning skies in Africa’s malarial jungles, or where “wolves are howling on lone Onalaska’s shore.” This consecration involves that you fully trust Him for material support and spiritual power. Be not faithless. The Master points you to the lilies and sparrows. You are more valuable than they. He tells you that “verily you shall be clothed and you shall be fed.” Not a hair of your head shall perish. He will care for your wife and children if you trustingly serve Him. I do not say trust the brethren. That is a broken reed. But to deny that Jesus will keep His promise to you is to deny the veracity of God. Trust Him for your power. Even today I had a talk with a young brother staggering under the responsibility of presenting a great work tomorrow. His eyes were full of tears, as he said: “I have no strength at all for this great service.” I laid my hand on him and said: “Let Jesus be your power. Lash yourself with God’s promises to the throne of His omnipotence, and your weakness will become strength.” I have promised to spend much of the night with him praying that the power of God and not of man may rest upon him. Brethren, there is no censoriousness in anything that I have said. Apply as much of it to me as you will, and then I am ready to confess other faults and weaknesses that you know not of. But is it not appalling, that revelation of the statistical secretary: There are nine hundred and eighty-nine preachers in Texas who are not pastors, nor missionaries, nor evangelists, nor teachers, nor denominational agents, nor editors? Indeed, “we have this treasure in earthen vessels.” Oh, how earthen! When I first read of the quarrel between Paul and Barnabas, I said: “Earthen vessels.” And when preachers now quarrel, the bleeding church cries out: “Earthen! Earthen!” I could get down on my knees before God in your presence to make one yearning plea–that you make this Convention one of peace, power, and brotherly love. Put relentless hands down into your hearts, and tear out by the roots everything that will not advance the interests of the Redeemer’s kingdom here in this meeting. Tear it out. It depends on you. Let every watchman blow his trumpet at the coming of the sword. Let every sentinel cry out on his post: “To arms! They come! The foe–the foe!” Let every leader leap to the front of his battalion and stay to the front in every good work and work, lest there be a retreat while the mournful bugles sound a recall and the dirge of defeat be the music to which we march. I magnify my office, oh, my God, as I get nearer home. I can say more truthfully every year, “I thank God that He put me in this office”; I thank Him that He would not let me have any other, that He shut me up to this glorious work; and when I get home among the blessed on the bank of everlasting deliverance and look back toward time and all of its clouds, and sorrows, and pains, and privations, I expect to stand up and shout for joy that down there in the fog and mists, down there in the dust and in the struggle, God let me be a preacher. I magnify my office in life; I magnify it in death; I magnify it in heaven; I magnify it, whether poor or rich, whether sick or well, whether strong or weak, anywhere, everywhere, among all people, in any crowd. Lord God, I am glad that I am a preacher, that I am a preacher of the glorious gospel of Jesus Christ.